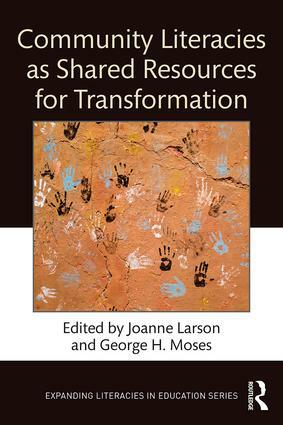 Through multiple narratives reflecting the complexity of participatory action research partnerships for social justice, this book sheds light on the dialogic spaces that intentionally support community literacies and rhetorical practices for inquiry and change. Applying literacy as social practice, Larson and Moses tell a story of a unique collaboration between community members and university faculty and students, who together transformed an urban corner store into a cornerstone of the community. Building on the emerging field of community literacies, the book captures the group’s active work on the ground and, on another level, how transformation occurred in the dialogic spaces of the research team as it learned to embrace distributed expertise and multiple identities. "The book vividly describes a collaborative process and significant outcomes it produced. The level of detail and the complexity of the context make this project an essential resource for activists and citizen-scholars desiring to take up this work alongside others." Joanne Larson is the Michael W. Scandling Professor of Education at the University of Rochester, USA. George H. Moses is the Executive Director of North East Area Development, Inc. (NEAD) and Group 14621 Community Association in Rochester, USA.